TUCSON, AZ – The Tucson Roadrunners, proud American Hockey League affiliate of the Arizona Coyotes, announced the recall of defenseman Jalen Smereck from the Fort Wayne Komets of the ECHL today. Smereck, 20, dressed in two games with Fort Wayne during his assignment, recording one point. The rookie from Detroit, MI has played in one game with the Roadrunners thus far this season, coming in the team’s 3-1 win over Grand Rapids on October 25. 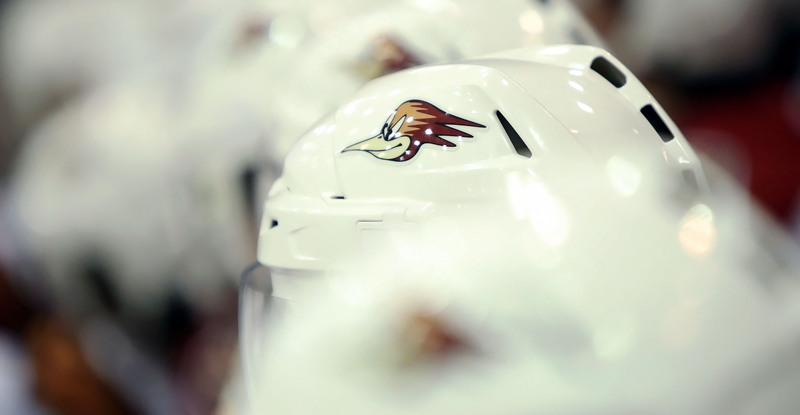 Tickets for all 29 remaining Roadrunners home games are on sale now and can be purchased by clicking HERE or visiting the Tucson Convention Center box office.